The world is waking up! After the Obama Administration banned the ivory trade in the U.S. this year, now China is following in our footsteps! This is BIG NEWS, as China sells the most ivory carvings. 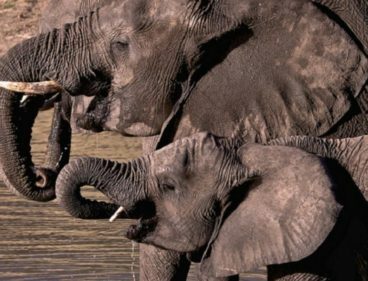 Thanks goes to the long list of wildlife and environmental organizations dedicated to ending the ivory trade world-wide. We are on our way! The famous basketball player, ?, with the help of Wild Aid, traveled around China raising awareness about the plight of elephants. Most people don’t want to hurt animals. We all know how distinct each personality of each animals is. Elephants are among the most sensitive and intelligent too. As Dame Daphne of The Sheldrick Wildlife Trust in Kenya says, “elephants have most of the good traits of humans, but hardly any of the bad.”. Soon, poaching will be a crime of the past. That’s a happy thought for the kickoff of 2017.